Hello! 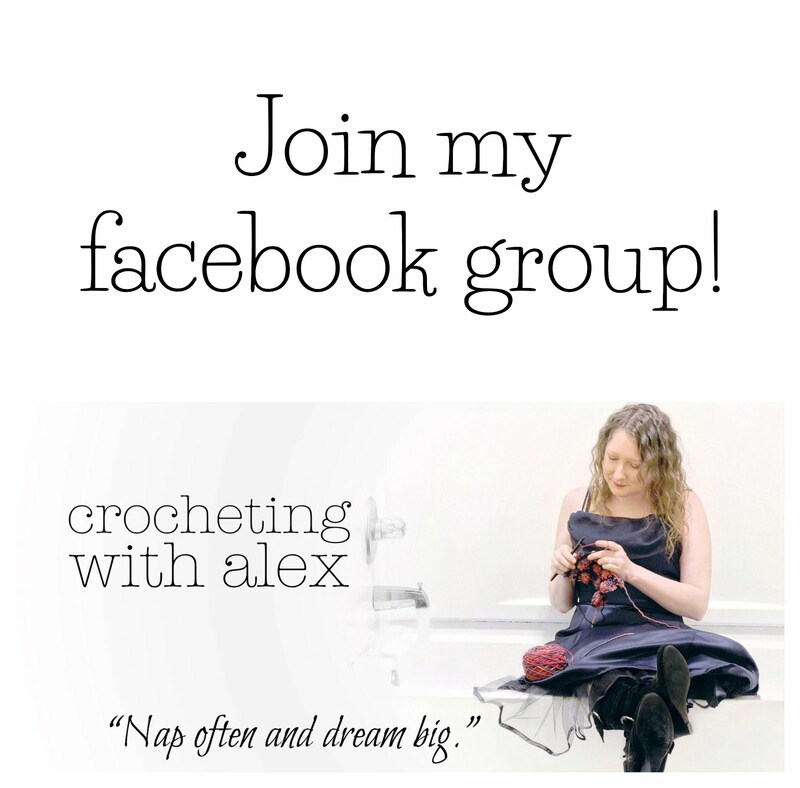 Today I am super excited to announce a collaboration and giveaway that I've been working on with Ashley from Montana Crochet and her gorgeous yarn and Furls Crochet and their awesome streamline crochet hooks! I have been following Montana Crochet for awhile on Instagram and I have been in love with her beautiful hand dyed color ways and it has been a dream of mine to work with her luxurious yarn. 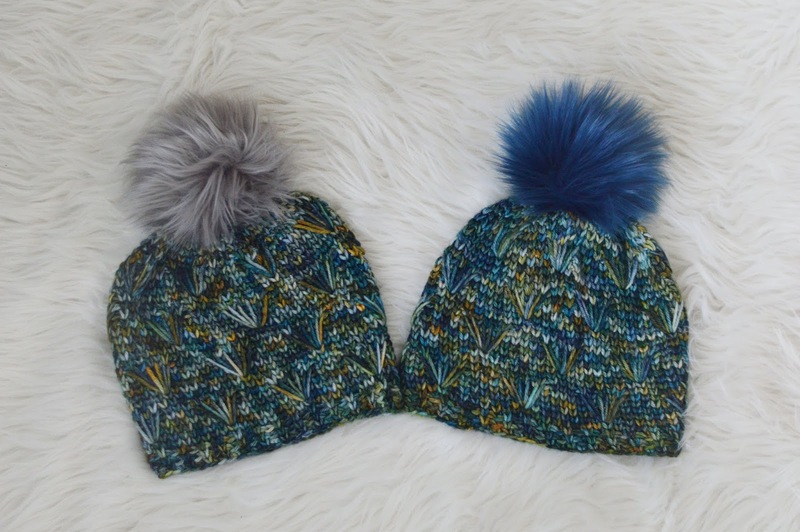 My dream has come true and today I am releasing the Dandelion Field Beanie! Scroll down for the free pattern or purchase the pdf for offline and printing purposes and now there is a video tutorial too, click here! Scroll down!. 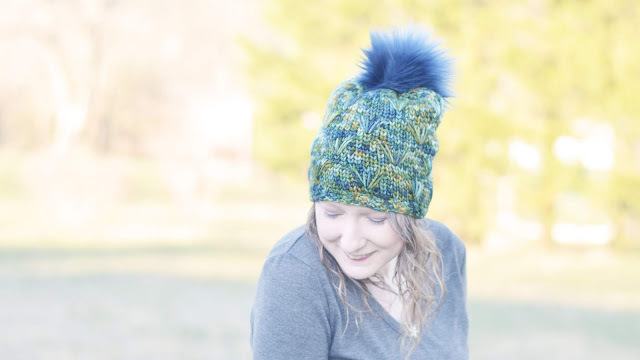 The Dandelion Field Beanie is a cozy hat to wear when it’s still cold outside but you are dreaming of spring. 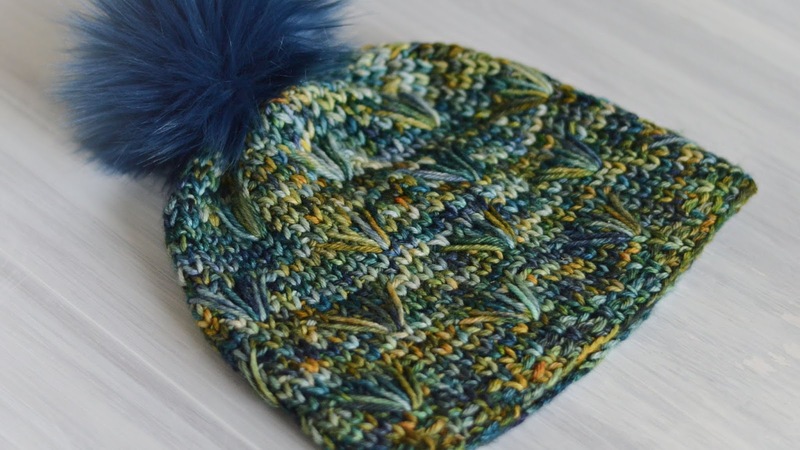 The dandelion stitches add a delicate texture to this knit inspired hat, but it’s completely crocheted, I promise! A few months ago, one of my sweet friends started knitting blankets with the knitted dandelion stitch. I thought that stitch was so pretty that I couldn't get it out of my head, and not to mention she kept sharing photos of her beautiful work, and I was inspired. I kept thinking about how to create this stitch as a crochet version and one day it hit me. I was having a very bad pain day, and when I have a bad pain day and I'm laying in bed, I love to think about crochet, if I can not crochet. 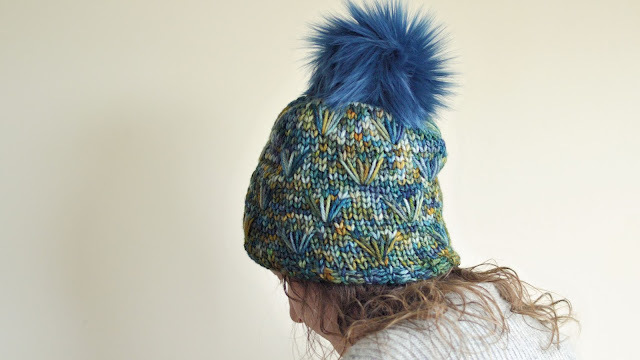 As I laid in bed, propped up with pillows, and in my hand, my Furls streamline hook, I swatched and frogged, swatched and frogged and finally came up with a crochet version of the dandelion stitch that I absolutely love! 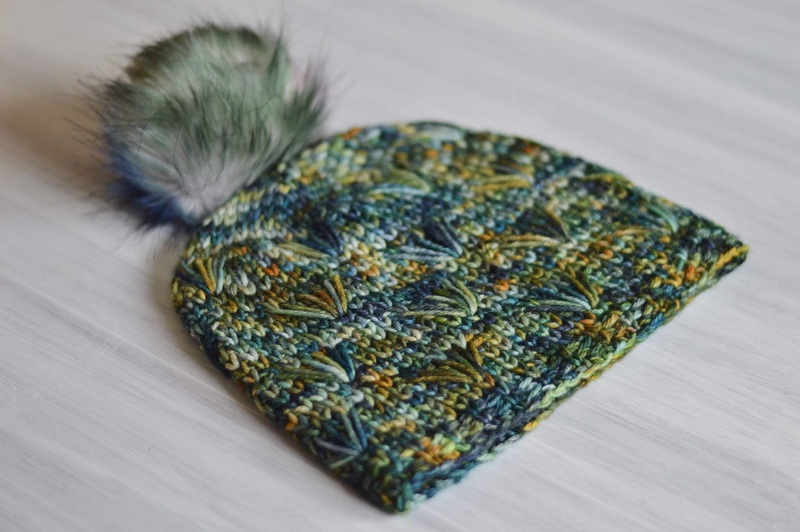 As soon as I figured out the crochet dandelion stitch, I knew that I wanted to make a beanie and I knew that I wanted it to be with Montana Crochet yarn. I sent her a message and our collaboration started! 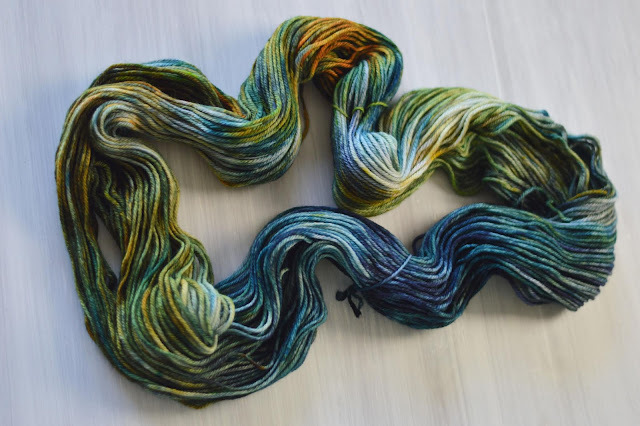 We decided on using the Lake Abundance color way because the colors remind me of a beautiful, cold blue-green lake with yellow specks throughout this yarn which creates the perfect illusion of a field of dandelions being reflected in this beautiful blue-green water. For my full yarn review on her yarn, you can watch my video by clicking here, or scroll down. If you would like to make a Dandelion Field Beanie with Montana Crochet yarn, she is selling kits which include a 50% off coupon code for the Dandelion Field Beanie pdf. 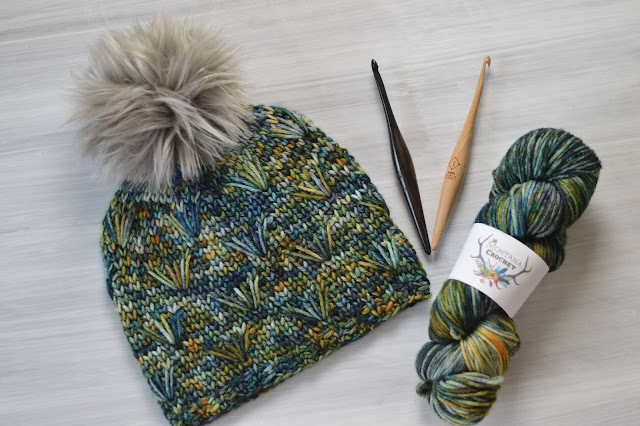 We are also giving away 1 skein of Lake Abundance on worsted by Montana Crochet, 1 size K Furls Crochet Streamline in Ebony, 1 size J Furls Streamline in Camwood, and a Dandelion Field Beanie pdf on my Instagram, click here to find out how to win! 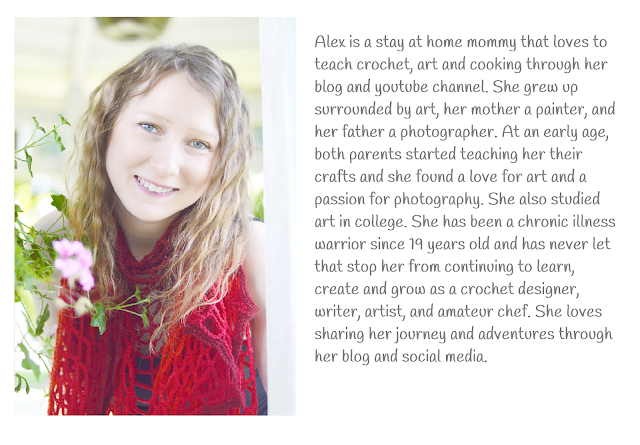 Thank you so much to Ashley from Montana Crochet for donating the yarn for the giveaway and Furls Crochet for donating the crochet hooks for the giveaway! Click here for the giveaway! Don't forget to subscribe for more videos and tutorials! Click here to pin this pattern to your pinterest board. favorite on Ravelry, thank you so much! hdc 3rd loop video tutorial, click here. Should measure approximately 16 inches. Fold this in half with the right side out and line up the first stitch and the last stitch made. R2: Put a wst into the 1st sc of the last round by inserting the hook into the 1st sc of the last round, yarn over and finish the wst (mark this st with a st marker). Don’t worry about the gap at the bottom of the stitches. This will be fixed later. Continue with the pattern. Tips on making a wst: Keep the loop on the hook as tight and small as possible. Insert the hook into the next stitch, pull up a loop (make this loop larger than normal) yo and pull through all loops on the hook. Click here for the waistcoat stitch video tutorial. 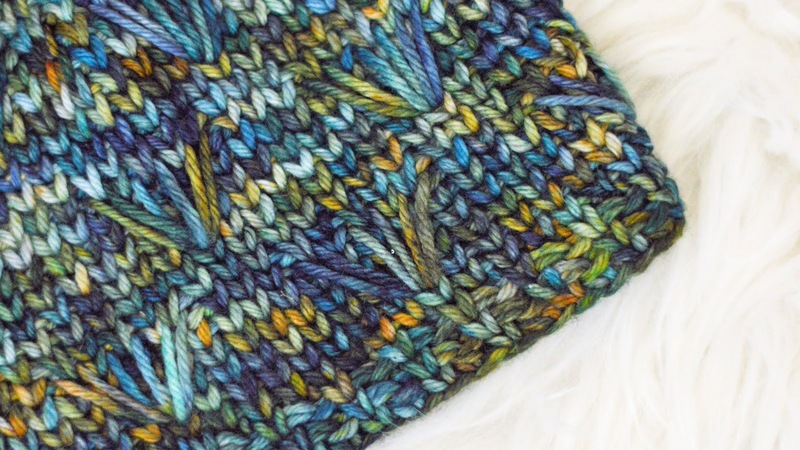 Put a spike stitch into the stitch that is 3 over and down 5. Skip the next st, wst into the next st.
Spike st into the same st as the previous spike st. Separate the spike st and put a loose sc into the bar from the previous row. wst2tog: Click here for the waistcoat stitch decrease video tutorial. Insert the hook into the next st, like a wst and pull up a loop. Insert the hook into the next st, like a wst and pull up a loop. Yarn over and pull through all 3 loops on the hook. 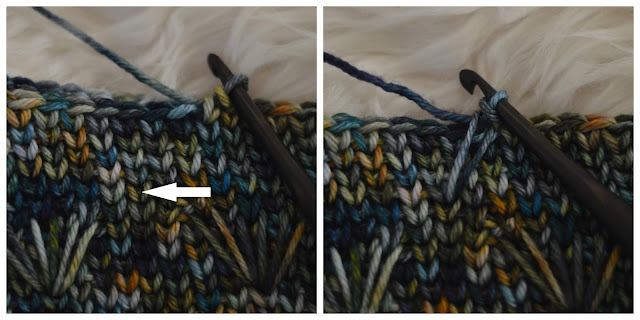 Tip on Closing the hole at the top of the hat: Make sure to insert the hook just like you would for the wst. This creates an even finish. Now you can knot and weave in the ends. This hat is worked in a continuous spiral. Do not join at the end of each round. Use a stitch marker to mark the first stitch of each round. See all notes before beginning. Cut the yarn, pull through the last st and whip st around the top to close the hole. Weave in all ends. May add a pom pom. May block and pin the brim stitches straighter. I hope ya'll love this pattern as much as I do! If you make a Dandelion Field Beanie, use the #dandelionfieldbeanie on instagram or tag me on social media so that I can see yours! I'm a knitter most of the time because I like the look of it better. That said, I love the way this hat looks so see several being crocheted by me for the kiddos in our county next winter. Thanks for so generously sharing your talent! Do you place a wst in each sc and and each hdc in R2 of the brim. If yes, I see how to do the wst in the sc (by watching the video) but not how to do the wst in the hdc. Can you explain this to me.